I know the Z-Wave or Netatmo system for IoT, domotic system and automation of house. 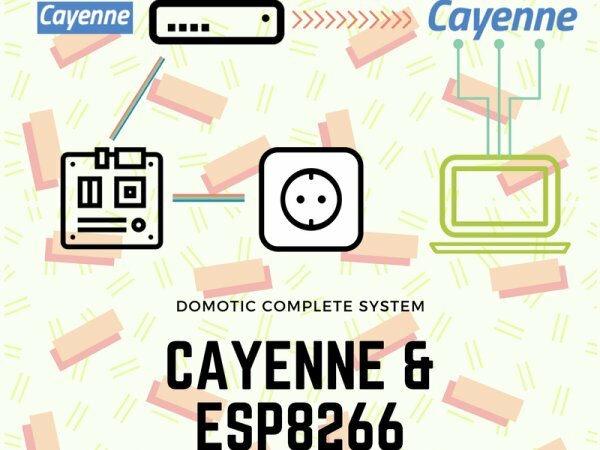 But now you can make a simple system that uses a Node MCU board and Cayenne platform for control five 110/220 V sockets. 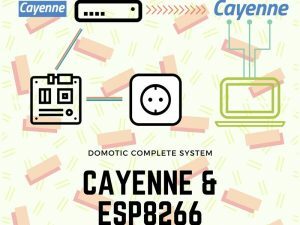 You can download the Cayenne app on your phone or visit the Dashboard on the web by your computer, and switch ON/OFF your sockets by remote. This is possible also if you are out of your home or out of your state! The control is possible behind the Cayenne servers. See the picture below. The signal starts by your phone by the Cayenne app, goes to Cayenne server in the cloud. After The server sends you signal to your Node MCU device connected to your LAN, and it sends the signal by using the 433 Mhz antenna to the 110/220 V sockets. I want to use the new SparkfunESP8288 Thing – Dev Board ( https://www.sparkfun.com/products/13804). A development board that has been solely designed around the ESP8266, with an integrated FTDI USB-to-Serial chip. The ESP8266 is a cost-effective, and very capable WiFi-enabled microcontroller. Like any microcontroller, it can be programmed to blink LEDs, trigger relays, monitor sensors, or automate coffee makers, and with an integrated WiFi controller, the ESP8266 is a one-stop shop for almost any Internet-connected project. To top it all off, the ESP8266 is incredibly easy-to-use: firmware can be developed in Arduino, and uploaded over a simple, serial interface. The ESP8266 Thing Development Board breaks out all of the module’s pins, and the USB-to-serial converter means you don’t need any peripheral components to program the chip. 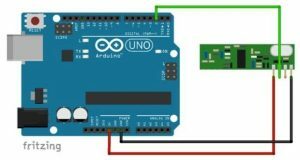 Just plug in a USB cable, download the Arduino board definitions, and start IoT-ing. First of all subscribe now to “Cayenne my device service”. Point your browser to http://www.cayenne-mydevices.com and Sign Up for free. After that click on Add new… and choose a new board. Now you can obtain the Token code. This code will return useful after in the Node MCU step.